Ease your baby's teething discomfort while getting them started on early dental hygiene habits. The nubs and wide handle introduce your baby to a toothbrush, while the anti-choke shield prevents your child from over inserting. Soft-textured nubs soothe achy gums and the easy hold handle is perfectly sized for little grips. CHUBBY GUMMY is made with thermoplastic rubber (TPR) and polypropylene (PP) - safe materials that are BPA & phthalate free. Say hello to your baby's new favorite teething gummy. 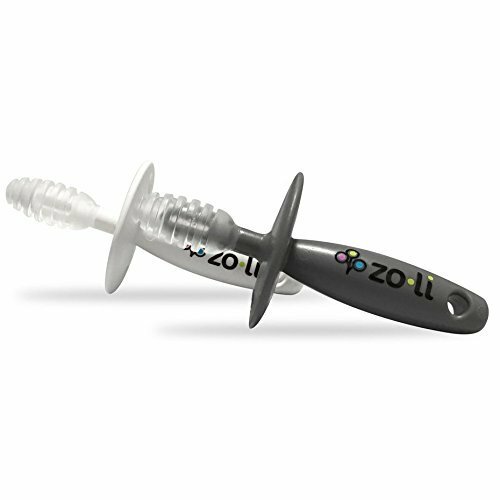 If you have any questions about this product by ZoLi, contact us by completing and submitting the form below. If you are looking for a specif part number, please include it with your message.